Maine Gov. Paul Lepage’s decision to veto a bill on Friday that would have built a recreational marijuana retail market is a major buzzkill for those in the state who voted to legalize the drug last year. In his veto letter, LePage urged the Maine legislature to “sustain this veto” because he did not believe that the bill was satisfactory. The bill passed with enough votes to overturn a veto in the state Senate, but not the statehouse. 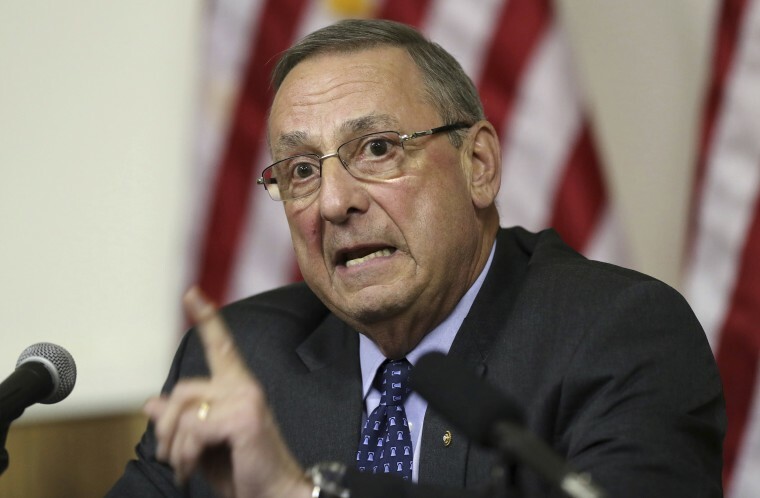 LePage said his greatest grievance is that he did not know how the Trump administration intended to enforce federal marijuana laws in states that legalized recreational marijuana. “If we are adopting a law that will legalize and establish a new industry and impose a new regulatory infrastructure that requires significant private and public investment, we need assurances that a change in policy or administration at the federal level will not nullify those investments,” LePage wrote. The Obama administration struck a balance between state and federal oversight with the 2013 Department of Justice Cole Memorandum, which directed federal prosecutors and authorities to deprioritize marijuana enforcement. Maine, 12 other states, Washington D.C. and Puerto Rico have legalized recreational marijuana use, but not all have created legal marijuana retail markets. U.S. Attorney General Jeff Sessions, who has openly expressed his opposition to marijuana legalization, told a Justice Department task force to review the Cole memo in April and recommend changes to it. According to the Associated Press, they provided no new policy recommendations to the former Alabama senator. However, the Trump administration has still not provided its own guidance about cannabis. In his letter, LePage also expanded on his grievance that the bill conflicted with Maine’s existing medical marijuana laws, which he claims are being exploited by his constituents, and created “unrealistic deadlines” to craft regulation at the executive level. Medical marijuana is legal in Maine, and legal recreational marijuana sales are supposed to begin on July 1, 2018 — the same day as Canada and Massachusetts. Jolene Forman, a staff attorney with the Drug Policy Alliance's office of legal affairs, said the governor's reasoning made a scapegoat out of the federal government. States are within their rights to pursue legalization, she said. And she added that LePage and Sessions' positions are archaic. “What we know from our 45-plus year history of the War of Drugs is that the criminalization of marijuana has failed and that legalization has been a success,” Forman said. In the letter, LePage said that he “sought guidance” from Colorado Gov. John Hickenlooper, a Democrat, who has had to oversee his state’s recreational marijuana market since Colorado legalized the drug in 2012. LePage said that Hickenlooper “urged” him to “not rush just to get something in place” and connected Colorado’s crime rates and traffic deaths to recreational marijuana use. Hickenlooper’s office was not immediately available for comment, but the Colorado governor publicly told Sessions in a letter that the federal government should not meddle in the states' legal marijuana markets. The Drug Policy Alliance rejected the connection LePage made to crime and traffic deaths, as well as a link the Maine governor made to opioid use. LePage’s veto also means that the state cannot tax a new, profitable market that is valued at approximately $8 billion in 2017, according to Marijuana Business Daily. “By failing to establish a regulatory market Maine will continue to waste money on law enforcement resources instead of collecting huge tax revenue for the cultivation and sale of marijuana,” Forman said.